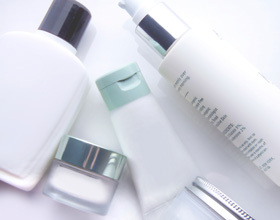 We understand our clients from the cosmetics industry need translators who know the cosmetics industry inside and out. Our clients need someone who can understand the language and terminology of your everyday work. At The Translation People, we provide our cosmetics sector clients only with skilled translators working into their native language who have previously worked on cosmetics projects. This is how we guarantee that your translations reflect the understanding of your industry and your audience. We’re also ISO 9001:2008 certified for our quality management systems, which will give you peace of mind knowing that every aspect of our works meets the same high standards as our finished translations. Of course, we know that the way we handle projects is just as important as the finished product we deliver. That’s why we use dedicated account managers to provide a responsive and seamless one-stop service that’s easy to use. Our flexibility means we are able to handle source materials in any media or software program and that we have the talent and resources to translate or interpret in any major world language.